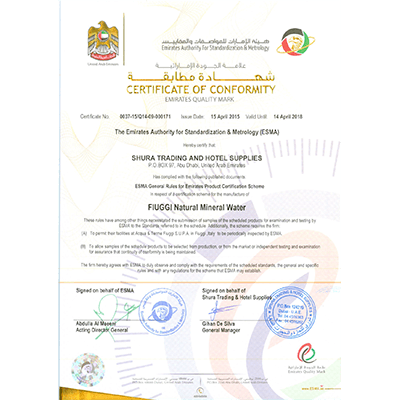 Shura Trading & Hotel Supplies is a Company established since more than 30 years back in Abu Dhabi. 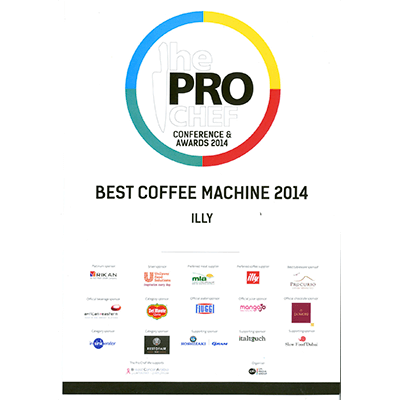 It was established to cater the ever growing Hospitality and HORECA business channel. 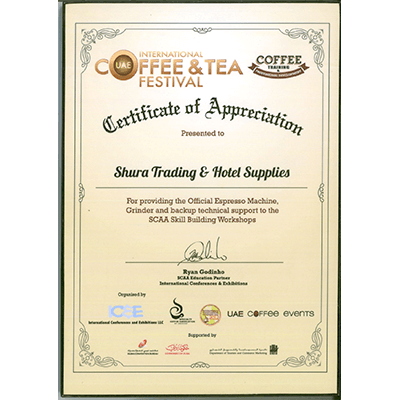 Shura Trading &Hotel Supplies is a member of Al Mazroui group of Cos. based in Abu Dhabi. The Chairman of Al Mazroui group is Mr. Rashid Al Mazroui and his brother Mr. Saeed M. Al Mazroui as partner of the organization. 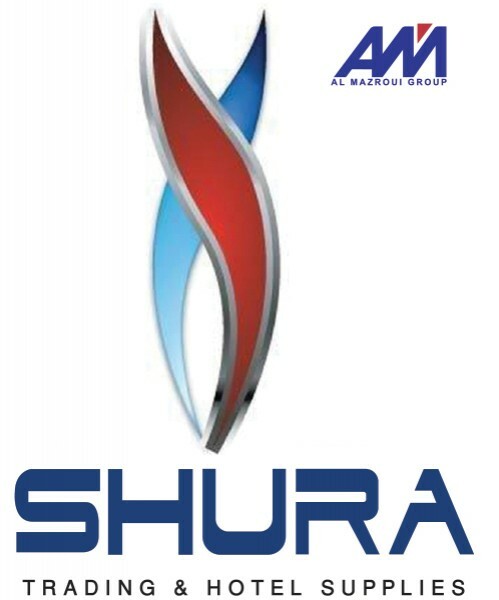 Shura has three offices, one being situated in the parent Company’s headquarters in Abu Dhabi, Ras Al Khor Dubai and JLT-Jumeirah Lakes Tower Dubai. 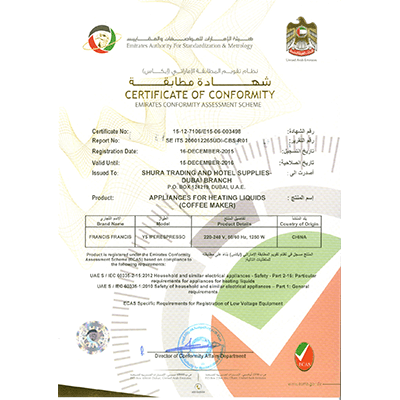 Technical service centre for complete coffee machine maintenance with complete backup of spares is located in Abu Dhabi & Dubai Ras Al Khor. 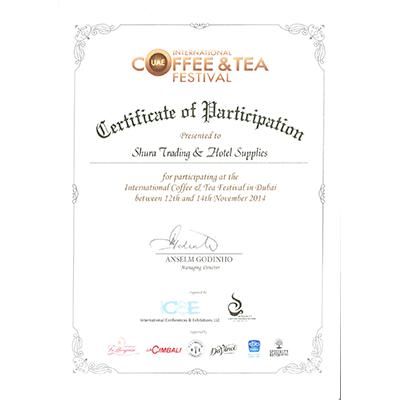 Shura has its own Training centre for intensive training Universita Del Caffe (UDC) The Coffee Training Institute Dubai (TCTI) courses as well as short duration courses in Jumeirah Lakes Towers Dubai, with a dedicated trainer who coordinates with F & B and the Training Dept of the client. 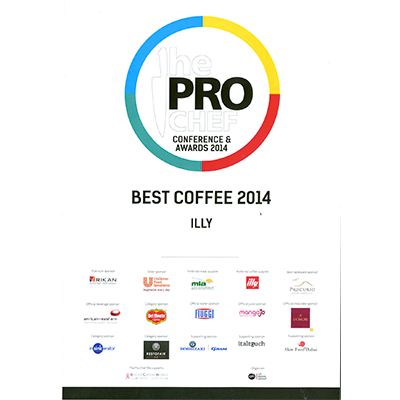 These trainings are clubbed either with staff of other clients or from the same client, which creates competitive environment with sole aim of developing coffee skills. Trainings courses are conducted basically to develop certain skills at a time and are always target achievement based. With these methods different skills are developed with continuous training session. Refresher courses are conducted with prior notice and consultation with the client. Distribution & Deliveries are made by our logistics team. 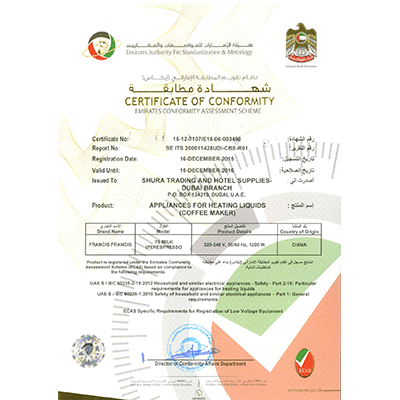 All of our vehicles are temperature controlled and being certified by the Food Control Authorities both in Abu Dhabi & Dubai. The logistics team is also certified for food handling by the Authority of Abu Dhabi & Dubai.